Our premium multi-day tour! This fully catered adventure kayaks the coastline from beautiful Totaranui/Awaroa in the North down to the golden shores of Marahau. Spacious and spectacular, the northern section is seldom visited by others. Completely immerse yourself in the natural wonders of the Abel Tasman National Park. Experience it all from paddling with seals, relaxing on numerous beaches, exploring lagoons, islands and Maori village Pa sites, to learning about local history and lore. It's a relaxing, content-rich and memorable three day experience. This is truly an amazing trip. What more could you ask for? If you want to explore the quiet far north of the park and walk from Totaranui to Separation Point (return) contact us and we can make this into a four day journey. Your first day will be an unguided walk passing lush tropical native forest and quiet beaches on day two meet your guide to start the three day classic. It is a lot quieter up here and we recommend staying at what we consider some of the best campsites in the park. 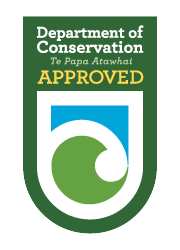 Recommended campsites: Anapai or Goat Bay or Totaranaui. Kirsten from Bearfoot Theory blogged about our Classic trips read her personal account of her trip with Abel Tasman Kayaks. You can also view her journey from her video below. On this trip covering the coastline from Totaranui or Awaroa and surrounds to Marahau you have a professional guide with you for 3 days sharing their knowledge and passion of the Abel Tasman. We also cater all meals designed around your health and energy prepared onsite by our container cafe.